British middleweight boxer Carl Froch is set to make probably his last ring appearance of the career in the Las Vegas fight against Julio Chavez Jr. According to reports and Froch himself disclosed that the fight is almost a done deal with final arrangements to be agreed which might be done within a couple of weeks. But there are couple of ifs and buts attached to the fight, If Chavez Jr fight wont materialise Froch might retire without getting into the ring again leaving no oppertunity for a Andre Ward rematch (froch explains why, scroll down for details below) or a all british affair against James Degale. Froch gave a indepth interview to local sports channel (SkySports) earlier in the day (08 January 2015) and he revealed that his camp is very close to securing Chevas Jr bout taking place in Las Vegas. But what is the proposed date for the fight ? Well they are looking at somewhere in March 2015. Froch said talking to SkySports, that he beleive in Eddie Hearn to get him his big fight in Las Vegas which might turn out to be his last fight regardless of the result. 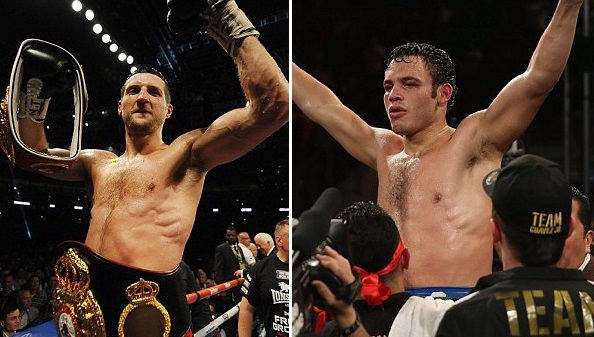 IBF and WBA super-middleweight champions Froch has been vocal in fight Chavez Jr since the last time he fought against George Groves and knocked him out in historic style last year.’So what we are looking at is a March 2015 fight date in Las Vegas for the IBF and WBA Super middleweight championship fight between Froch and Chaves. What other possibilities there are for the Cobra ? While talking to SkySports Froch revealed that he has no intentions of fighting Ward because he will probably lose on points and Ward is not a big fight as American TV don’t want to show him on Box Office. He also left a small window of hope for a domestic clash against James Degale if for some reason fight against Chavez Jr dont get materialized. What your thought on the Froch’s career so far ? and who he should be fighting next ? let me know your thoughts below in the comments section.